Massage can be useful for a plethora of different problems and injuries. One such thing massage is noticeably effective for is curing joint pain. Many different massage techniques can be effective for combating joint pain, some of these techniques include Swedish, Lymphatic, Shiatsu and Petrissage massage. Now that you know some of the good techniques practiced to cure joint pain, you may be wondering why you should use massage for the pain in your joints? Well, check out these five reasons as to why massage may be the form of treatment to help you relieve your pain the fastest. Scientific research shows massage has been proven to relieve and reduce pain. It is always nice to have a scientific grounding behind a medicinal practice, and with scientific studies telling us massage works, well this is just another reason to give it a try. There should be no reason not to include massage when trying to heal your body. Massage therapy increases flexibility and circulation. Increasing flexibility and improving circulation are both critical for those seeking to cure joint pain. These two factors go a long way in assisting your body to heal from the trauma your joints have experienced. The amount of times you choose to go in for massage can be the difference between temporary pain relief and full pain relief. The more massage, the better. When seeking massage for joint pain you can assume the massage will increase the range of motion within your joints. This is key. In order to have your joints functioning at an optimal level you need them to regain their original range of motion. Most importantly, massage is holistic. By getting a massage to treat your joint pain you are bolstering your health in a natural way. 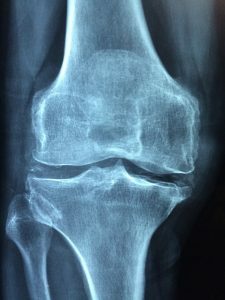 A lot of the alternatives to rheumatoid arthritis and other forms of joint pain are to ingest medication. But with massage you can ditch the potentially harmful drugs and relieve your pain with a safe, effective and natural method. This article was posted in Massage, Pain and tagged joint pain. Bookmark the permalink. Follow comments with the RSS feed for this post. Both comments and trackbacks are closed.